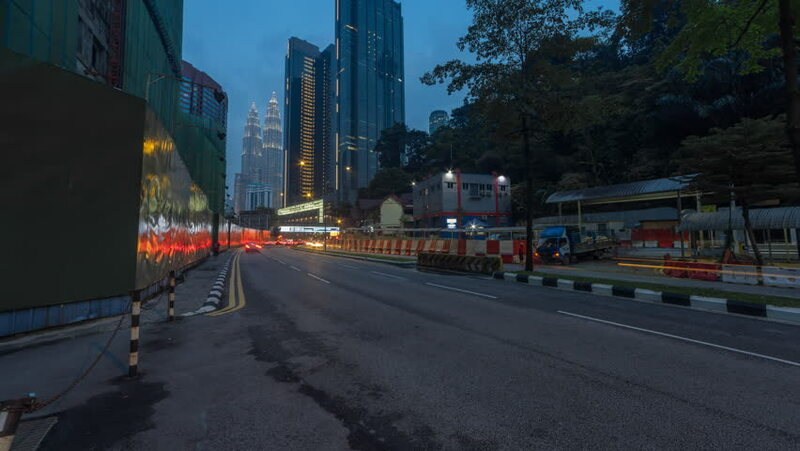 hd00:31Time lapse of day to night of a busy cityscape street view in Kuala Lumpur, Malaysia at sunset with light trails and motion blur. Slide up motion timelapse. High Quality, Pro res Full HD.